TeeTime Ireland lets you plan your golf vacation, book teetimes with all of Ireland's golf courses, and search for hotel or bed & breakfast accommodation. TeeTime Ireland allows you to plan the Irish golf vacation you want with all of Ireland's 430 or so golf courses described. The site is unique because you can book teetimes at all these courses online and follow a link to a convenient hotel or bed and breakfast nearby. Search lets you choose the kind of courses you want to play or you can use the vacation planner to create a profile and let us come back to you with suggestions. If you want your settings remembered for future visits, register your details. You may want to combine your visit to Ireland with golf in Scotland. You can use the Scottish sister site to include Scottish courses in your itinerary. For those of you involved in reservation systems at golf clubs or hotels, or even just 'tech-head' golfers, some of the technology behind the tee time bookings part of the site is explained on the La Traviata site. Tee time requests to TeeTime Ireland generate XML which is imported directly into our offline booking database and, where appropriate, to other back-end reservation systems to query availability and make bookings and payments. Simple, secure and standard, this means TeeTime technology can be used in booking systems all over the world. Read too about the next generation of intelligent booking systems in our TIRA project. In addition to the individual course and hotel entries, TeeTime Ireland provides ready-made tours . We edit and update these using our own sophisticated content-management software. 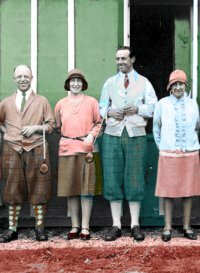 If you are in the business of providing golf travel or accommodation, particularly if you have some special offer to promote, you can make use of this software to advertise in the tours section of the site. You can change what is offered, and when, simply by connecting to the Web and making a few selections. Orders will come directly through the site to you, either directly in XML form to your reservations system or as an email. Whether you are an Irish hotel with a package of local courses to offer or have places in the sun to offer Irish golfers looking for a getaway, this site reaches your audience efficiently and cost-effectively. email us for details. Bookmark this page (CTRL+D) now! A ready-made and superbly relaxing tour, five days in beautiful Connemara with three rounds of golf. An area in which Ireland has excelled in recent years is developing top quality courses in the grounds of former country houses and converting those houses into luxury hotels. The best known example of that is the K Club, venue for the 2006 Ryder Cup. 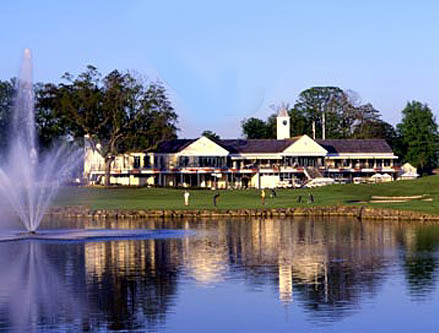 Its second course hosted the 2004 and 2005 European Opens.